Evansville, Ind. – With humid, 90-degree-plus temperatures expected to remain in the forecast, Vectren is reminding customers to take advantage of rebates to help offset costs associated with energy efficient equipment while also keeping in mind ways to conserve energy to help manage summer energy bills. Customers with pools can take advantage of Vectren’s pool heater and variable-speed pool pump rebates. To qualify for the $1,000 pool heater rebate, the heater must have a Coefficient of Performance of 6 or higher. Single speed and two-speed pool pumps do not qualify for the $300 variable-speed pool pump rebate. Close storm windows and doors to keep hot air out and cool air in. Regularly clean and/or replace your air conditioner filter to help your unit run at full efficiency and supply better air flow. Rebates up to $400 depending on the SEER (seasonal energy efficiency ratio) level are available on central air conditioning units. Another way to keep your central air conditioning unit running more efficiently is to add an air purifier to your home. Air purifiers remove dust and small particles from the air before it is returned to the air conditioning system. This can help keep the air filter in the unit cleaner longer. A $25 rebate is available for ENERGY STAR® models. Keep in mind that ceiling fans cool people, not rooms. If the room is unoccupied, turn off the ceiling fan to save energy. Dial up the thermostat. For each degree the thermostat is raised for a sustained, 8-hour period, you can save 1 to 3 percent in cooling costs. The U.S. Department of Energy recommends a summer thermostat setting of no lower than 78 degrees. Reduce energy costs and increase comfort with a smart thermostat. A smart thermostat can maximize your energy savings without the hassle of manually adjusting your thermostat. Vectren customers are eligible for rebates up to $75 when purchasing a Wi-Fi-enabled or smart thermostat. Minimize the use of ovens, stoves, washers, dryers and other major appliances that generate heat inside the home when used. Opt for cooking outside on the grill to minimize heat inside. When you must use indoor appliances, choose the late evening. Reverse the direction of your ceiling fan. By changing the direction to counter-clockwise in the summer, the fan will circulate the cool air. With this cooling effect, you can raise the thermostat three to four degrees and feel just as comfortable. Close your blinds or curtains to keep sunlight out. The sun’s rays will warm your home and cause additional air conditioning use. Homes with Vectren electric service are eligible for these rebates. 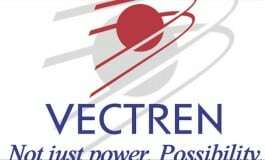 Learn more about Vectren’s energy efficiency programs, apply for rebates or sign up for a home energy assessment at www.vectren.com/saveenergy or call 1-866-240-8476.